Vilnius, Lithuania, 2015-3-9 — /Travel PR News/ — Baltic Ground Services, an international ground handling and aircraft fuelling provider, is further expanding its presence in the Polish market by signing a 7-year long cooperation agreement with Radom-Sadków Airport. 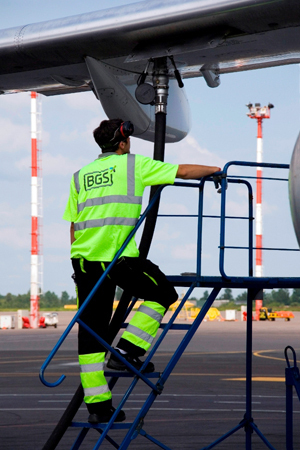 According to the agreement, the company’s Polish subsidiary – Baltic Ground Services Poland – is appointed as the official supplier of aviation fuel for airlines which are due to operate from the airport. Under the cooperation between Port Lotniczy Radom SA, the operator of Radom-Sadków Airport, and Baltic Ground Services Poland, the latter will be providing JET A-1 into-plane fuelling services for civil aircraft operators flying to/from the Polish airport. The required aviation fuel will be supplied from Baltic Ground Services’ own fuelling facilities in Lithuania as well as partners from Poland and other European countries. Previously hosting military aircraft only, in May 2014 Radom-Sadków Airport was certified as a civil aviation airport with an approval to service Airbus A320 and Boeing 737 aircraft types. The latest 7-years long fuelling agreement with Baltic Ground Services Poland comes as yet another important step in the launch of civil commercial flights from the airport. This entry was posted in Airlines, Airports, Business, Flights, Transportation, Travel, Travel Services, Travel Tech and tagged aviation fuel for airlines, Baltic Ground Services, Baltic Ground Services Poland, civil aircraft operators, JET A-1 into-plane fuelling services, Linas Geguzis, Port Lotniczy Radom SA, Radom-Sadków Airport, Radom-Sadków Airport in Poland. Bookmark the permalink.